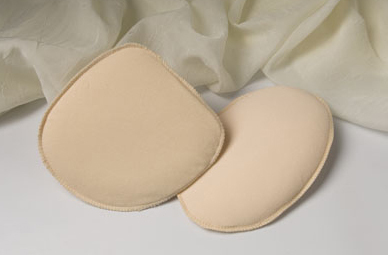 Soft cotton covered foam pads can be placed behind a form to add depth in a bra cup without adding weight. Available in three sizes; small, medium, and large. Asymmetrical and symmetrical oval shapes available. They are washable, reusable and durable. Beige color only. Made in the U.S.A .